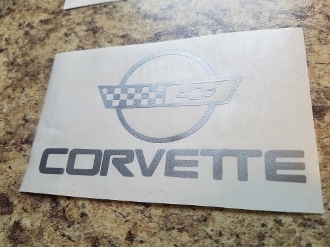 CORVETTE LOGO WITH LETTERING VINYL DECAL. CHOOSE COLOR AND SIZE. DECAL CAN BE USED ON ANY FLAT OR SMOOTH SURFACE INDOOR OR OUTDOOR.